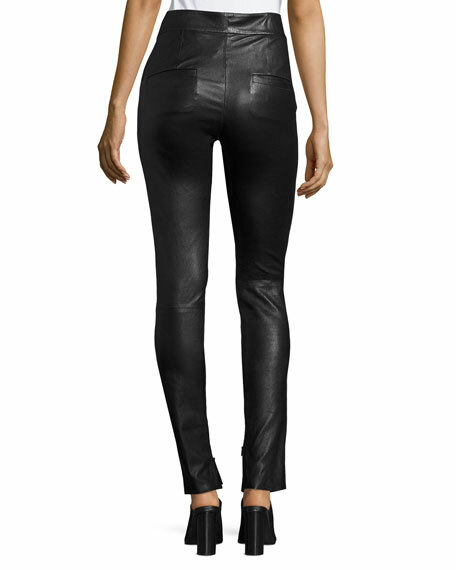 Isabel Marant "Eydie" pants in stretch lambskin leather. Continental front pockets; back welt pockets. 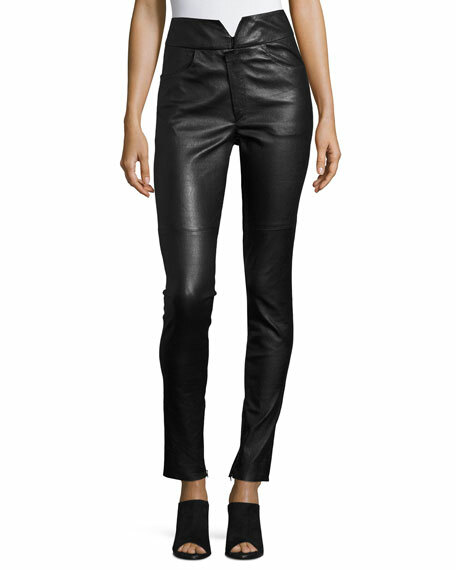 Ultra high rise; sits above the natural waist. For in-store inquiries, use sku #2168514.